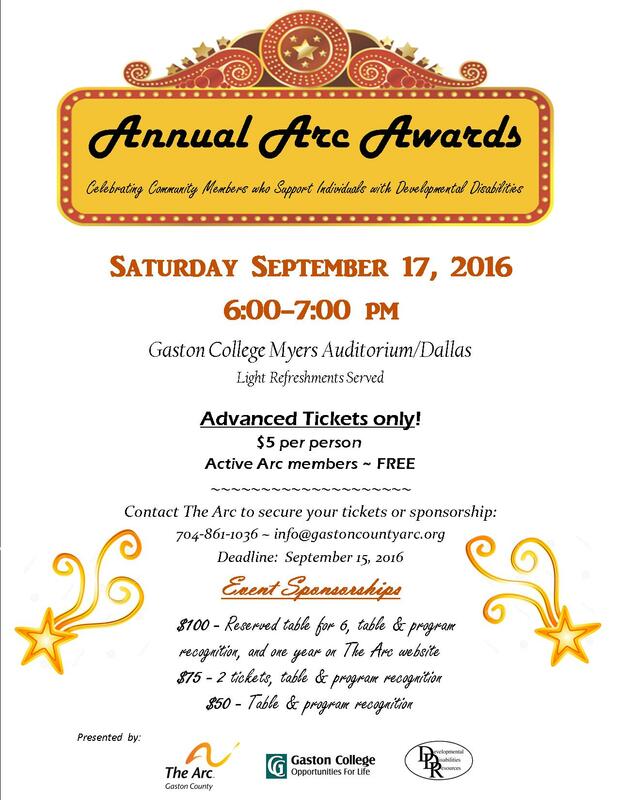 This year’s reception will be on Saturday 9/17 at Gaston College Myers Auditorium from 6-7 pm. 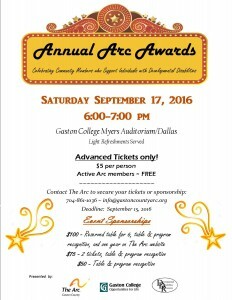 Advanced tickets ONLY – $5/person – Active Arc Members are FREE; individuals with disabilities are free. Event sponsorships are also available. See the flier for details.